Fruit pudding is intricately delicious that I do not resist each time I finish my dinner. 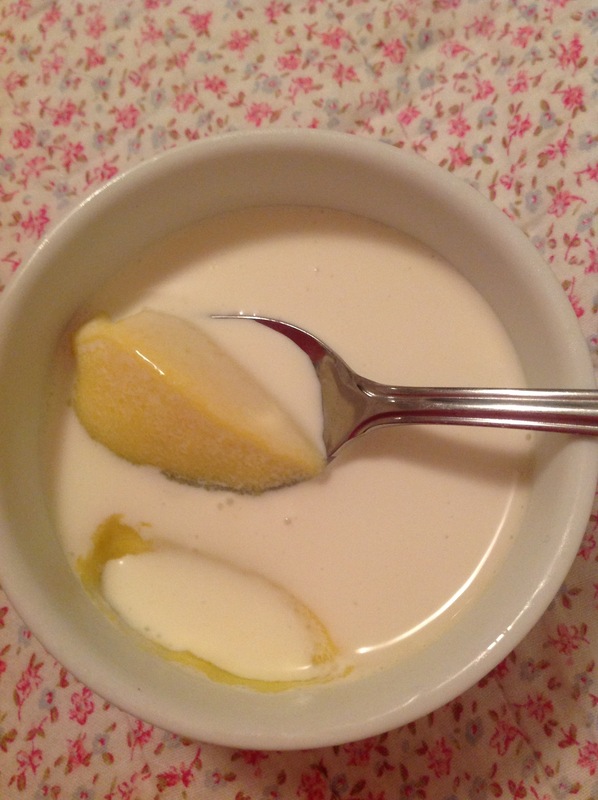 In Vietnam, the mango pudding has some derivatives in that they add a little of heavy cream on top so that each bite of this dessert has a fatter feeling than the original recipe. Depend on which type of mangoes you choose, you should adjust the amount of sugar added to the pudding. For me sugar added does not necessarily make the pudding so sweet because the fruit itself has its natural sugar. This fruit pudding is easy to make and easy to eat. There is only one tip you should care here is that the chosen mangoes for the pudding. Mango should be ripe enough to have the best taste. – Sprinkle gelatin powder to the milk and cream. Let gelatin powder sit for 10 minutes. Note that gelatin powder has to be sprinkled onto the cold liquid. – Combine sugar, mango puree and gelatin mixture to a pan. – Bring the mixture to a boil then remove the pan from the heat. – Refrigerate for at least 4 hours to let mango pudding set. – Serve cold with heavy cream on top. This entry was posted in Chinese, dessert, fruits, mousse, Vietnamese and tagged chinese, fruits, Mango pudding, vietnamese. Bookmark the permalink.